OK, we admit it. The downside of any ski trip is lugging your gear from place to place—and if you&apos;re traveling with little ones or in a big group? Ugh. Hauling around boots, skis, boards, poles, and helmets is a price most of us are willing to pay for the thrill of sailing down a mountain with sleds on our feet. But it&apos;s not actually necessary. So why not skip it? You’re headed to Ski City—We got you! From concierge services that will fit you for skis in your hotel room to full-service rental shops, we&apos;ll help you minimize the schlep. Plus, you can rock a demo package and try out a quiver of new boards during your trip. 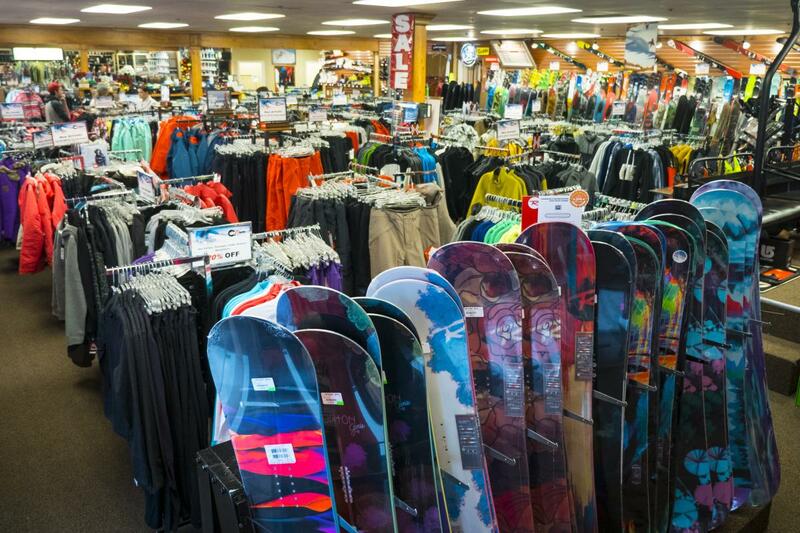 And the folks behind the rental counter are some of Ski City’s most rabid skiers and boarders. They can offer you local lore and advice for all of Salt Lake’s famed resorts. Sold? Ok. Here are a few things to consider as you make your plans. If you’re in town for a multi-day trip, and visiting more than one resort, rent your gear from a shop in the city (see below). That way you have just one pick-up and drop-off session. If you’re going to focus on just one resort, it might make sense to rent on that specific mountain. Each of Salt Lake’s four resorts (Alta, Brighton, Snowbird, Solitude) offers a wide range of rental options and pricing. 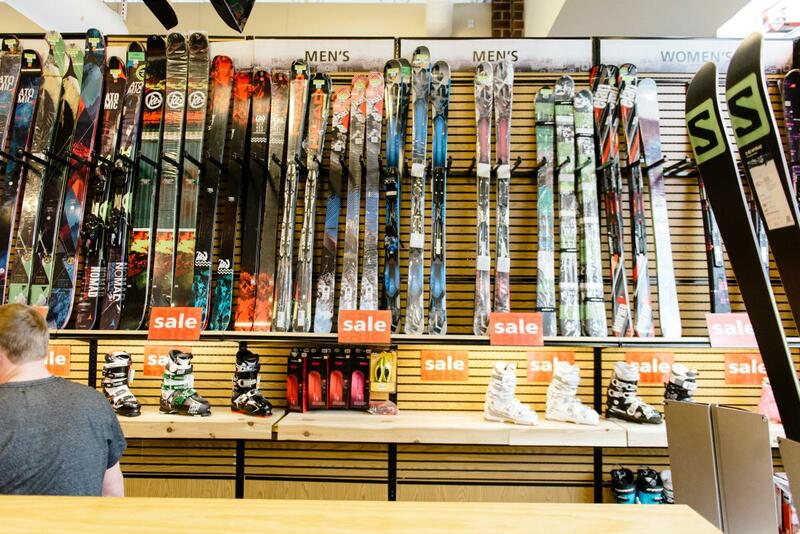 Other benefits of renting at the resort: swap outs for demo packages are easy, and resort shops can help you pick a pair of skis based on that day&apos;s conditions on the mountain. All of the shops below offer multi-day discounts and easy pick-up and drop-off. They also all offer online reservations and discount lift tickets, and many offer discounts for booking online. You might also want to think about using a ski concierge service and having the gear brought to you at your hotel or vacation rental. This is an especially good option if you’re traveling with children. AJ Motion Rentals, for example, will deliver your three-or-more-rental-days&apos; worth of gear if reserved in advance. Ski N See is a great option as well, with 7 rental locations between Salt Lake and the Cottonwood Canyons. Well, what are you waiting for? Get online and reserve your gear. The Greatest Snow on Earth™ is ready for you. Although renting gear in Ski City is pretty painless, we know that for some of you there&apos;s no substitute for your own gear. 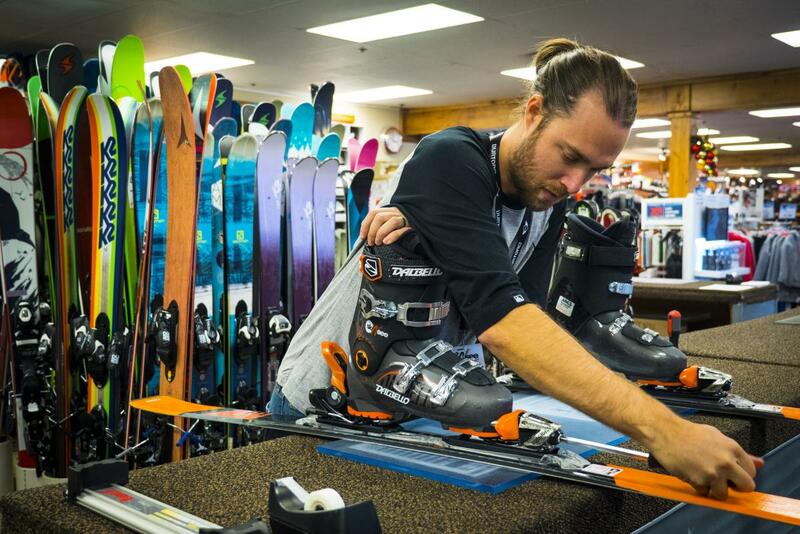 And hey, your trusty boots, skis, and poles deserve a trip to ride Utah’s famous snow, too. So if you decide to fly, consider that Salt Lake City is Delta’s western hub, so flights are plentiful, and although skis or snowboards must be checked, boots and boards only count as one bag on Delta. Oh, and Salt Lake’s airport has an easy pick-up spot for your gear right in the baggage claim area.